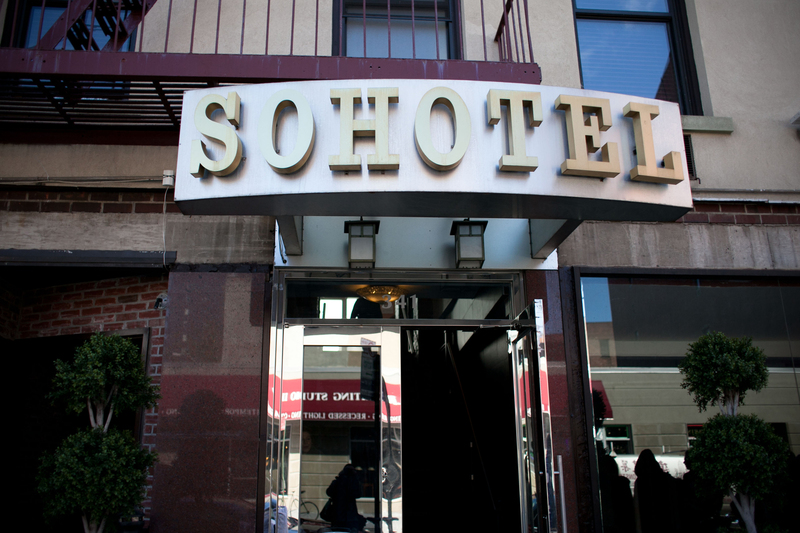 Find chic rooms without blowing the bank with our list of the best cheap hotels in NYC. On the hunt for somewhere to learn about the city’s roots? 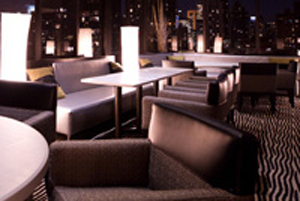 Fancy a room with a view or a rooftop bar? Whatever tickles your fancy, our roundup of inexpensive hotels offers something for absolutlely everyone. And because you won’t be splashing out on a fancy pants bedroom, you should have plenty left to splurge on shopping and Broadway shows. 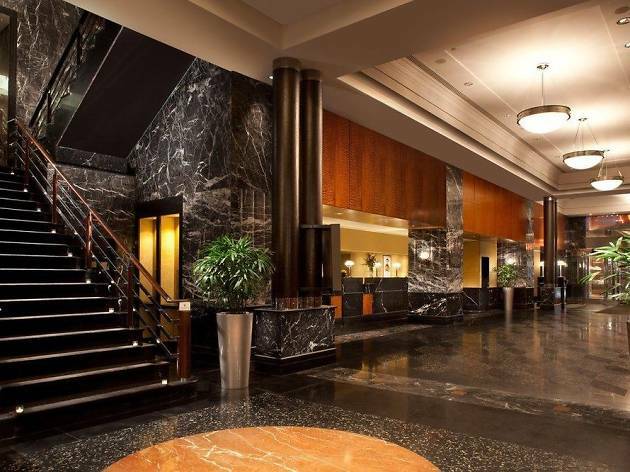 This midtown gem’s prime location, modern rooms and inspiring lobby make it the perfect pick for an economical stay in Manhattan. 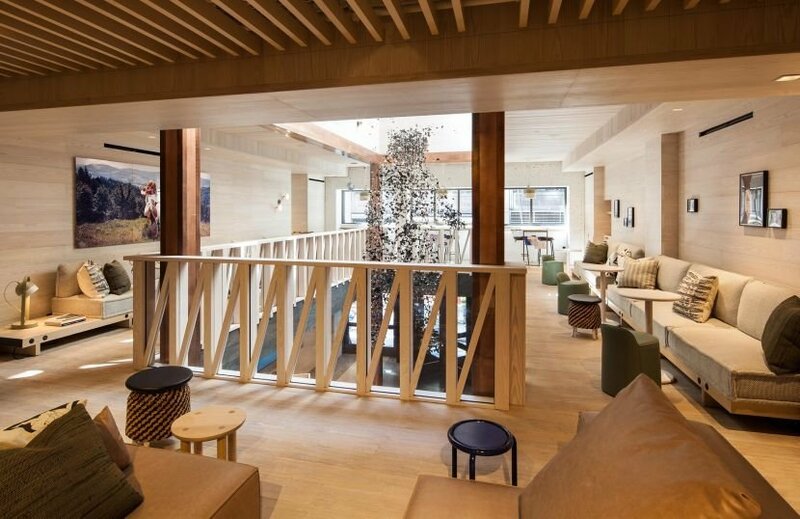 The hotel’s sleek yet whimsical aesthetic can be credited to famed designer Philippe Starck, who created an airy lobby wonderland reminiscent of an ivy covered greenhouse. 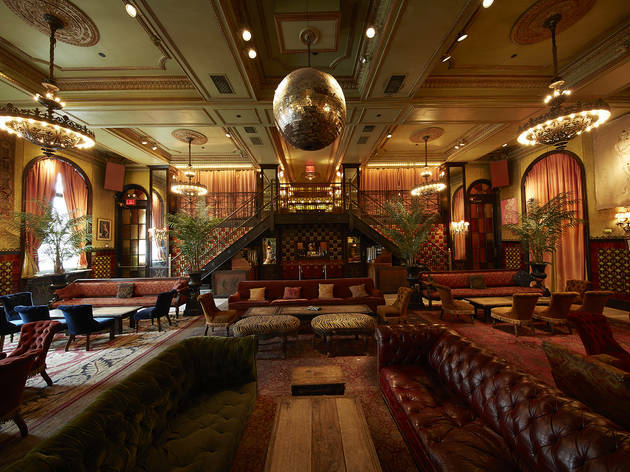 Originally a home for sailors, this century-old landmark is one of NYC’s most iconic properties. 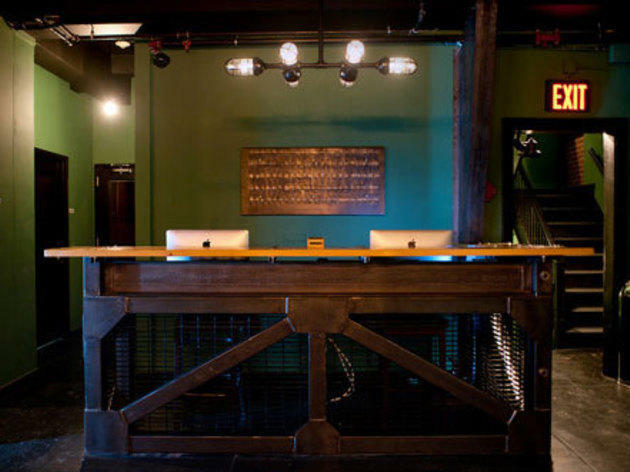 The hipster haven has a storied past visible through its vintage aesthetic. 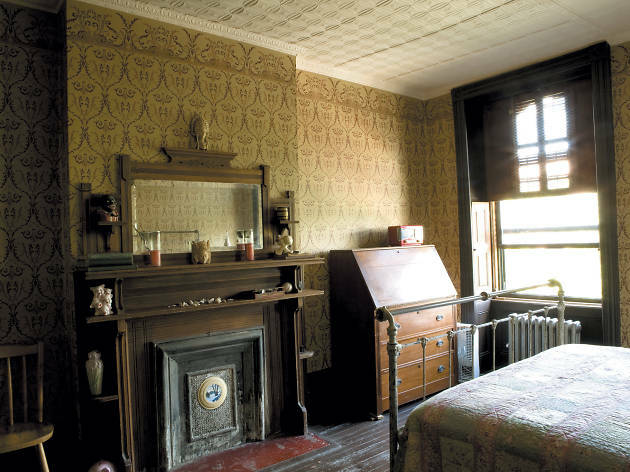 The hotel was once a temporary abode for survivors of the Titanic and the rooms have been restored to look like ship cabins. 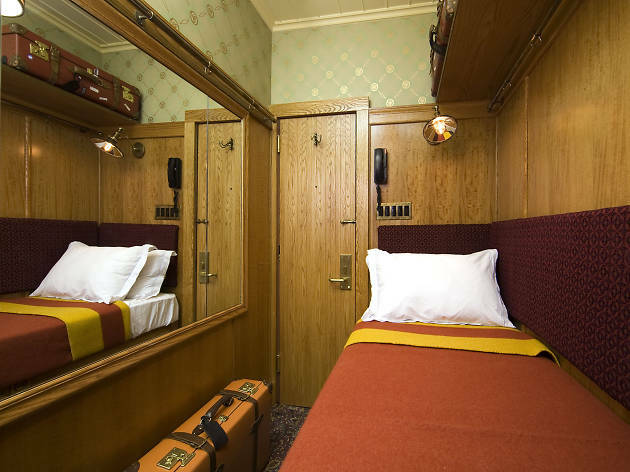 The antique, manually operated elevator run by classically uniformed bellhops adds to the charm and the rooms exude a dreamy Wes Anderson quality. 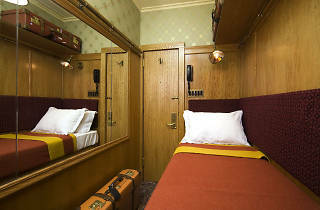 Choices include tiny retro-inspired bunk bed rooms with shared bathrooms, larger dwellings with peacock-patterned wallpaper and captain’s cabins with private terraces. 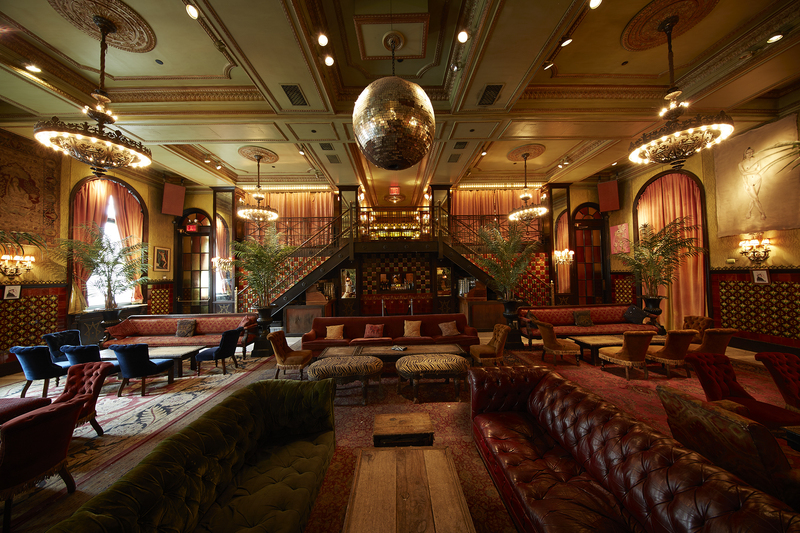 The dark-wood interior, moody lighting and lilting jazz music make musician René Calvo’s Harlem inn feel more like a 1930s speakeasy than a 21st-century B&B. 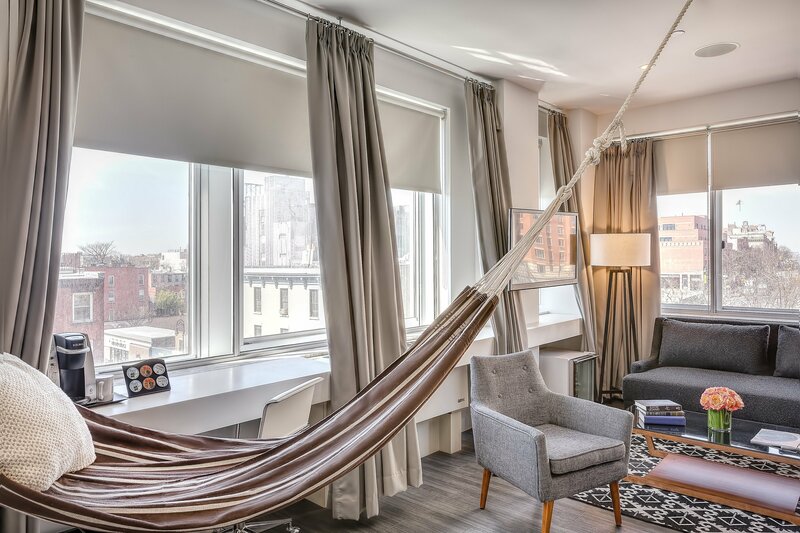 The airy suites, named for Harlem Renaissance figures such as Chester Himes and Cozy Cole, have restored tin ceilings, a quirky mix of junk-store furnishings and working sinks in original antique cabinets. 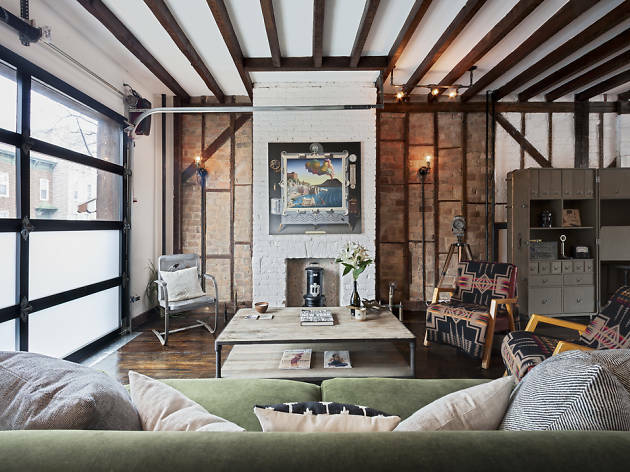 Two young real-estate developers have transformed a 1927 Bowery flophouse into a stylish take on a hostel. Quarters are decorated with vintage prints and historical photographs illuminated by light bulbs encased in 1930s and 1940s mason jars. 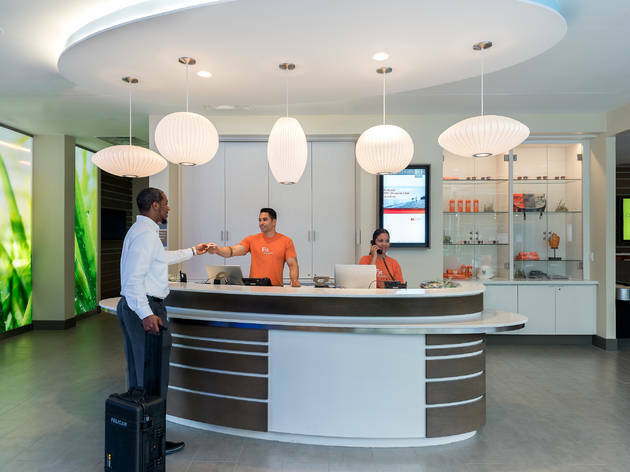 The immaculate (gender-segregated) communal bathrooms have rain showerheads and products from local spa Red Flower, while the guest lounge is outfitted with chesterfield sofas, chandeliers, a huge LCD TV and an assortment of international style mags. 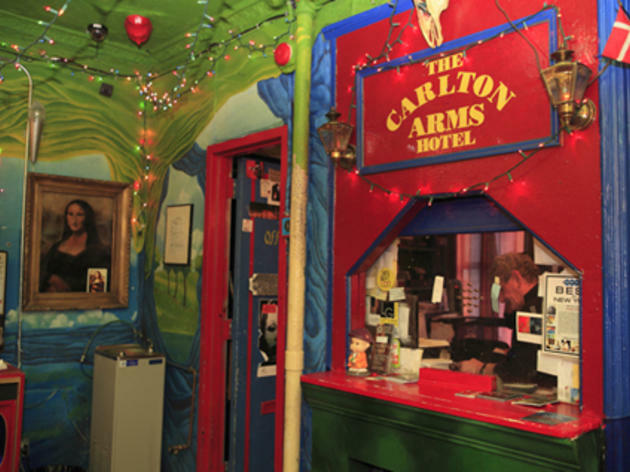 The Carlton Arms Art Project started in the late 1970s, when a small group of creative types brought fresh paint and new ideas to a run-down shelter. 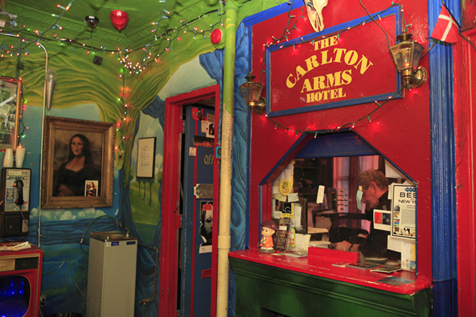 Today, the site is a bohemian backpackers’ paradise and live-in gallery—every room, bathroom and hallway is festooned with outré artwork. The place gets booked early, so reserve well in advance. 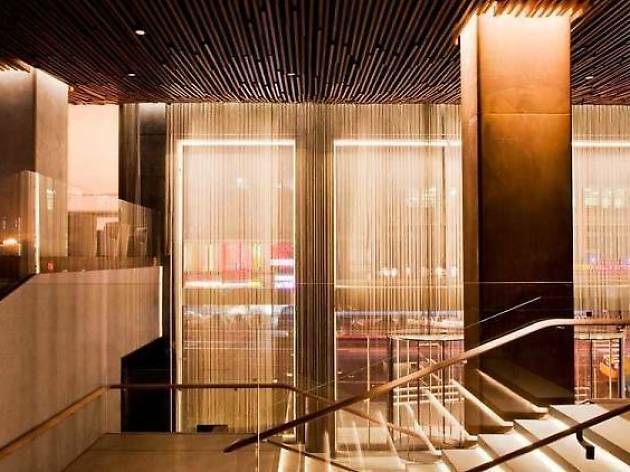 What started as a high-rise office building in its past life is now a 21-story, 197-room boutique hotel nestled in the Upper East Side. Here, sweeping river and bridge views from oversize windows cohabitate with flat-screen TVs, iHome docking stations and other modern chrome-and-wood accents. 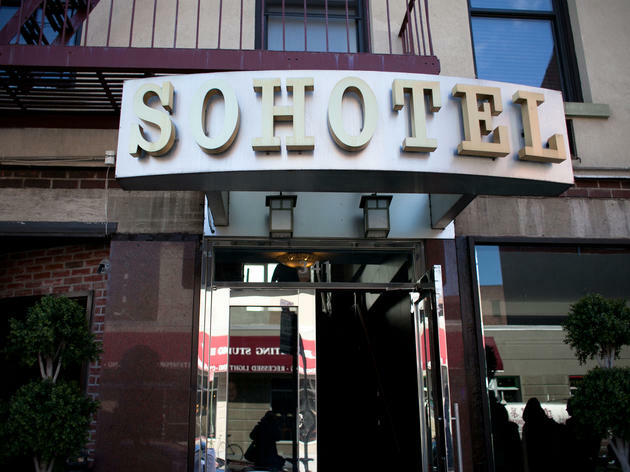 Situated in the heart of Manhattan’s hippest hood, Orchard Street Hotel is perched next to some of New York City’s most iconic restaurants, bars and music venues. 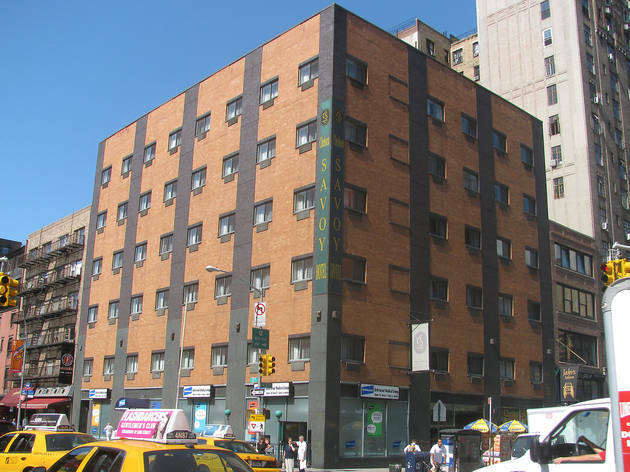 What the 50-room Lower East Side property lacks in amenities, it makes up for in location and price point. 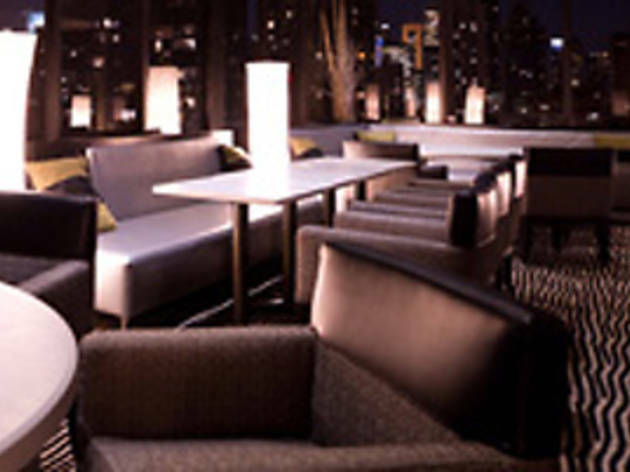 Located in the heart of Manhattan, the Millennium Broadway offers guests a front row seat to the endless action of Times Square. 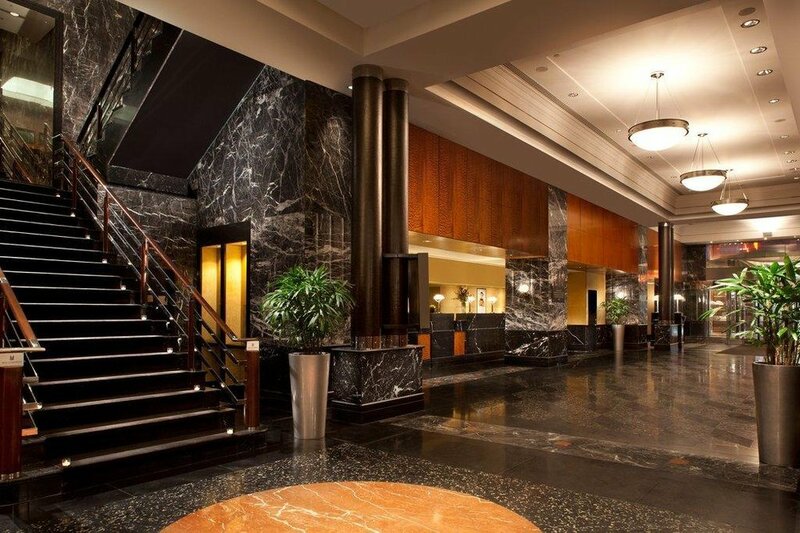 The glitz and glamour of Broadway is so close you can actually access the Hudson Theater via the hotel lobby. Keep an eye out for special packages that include tickets to the current show. 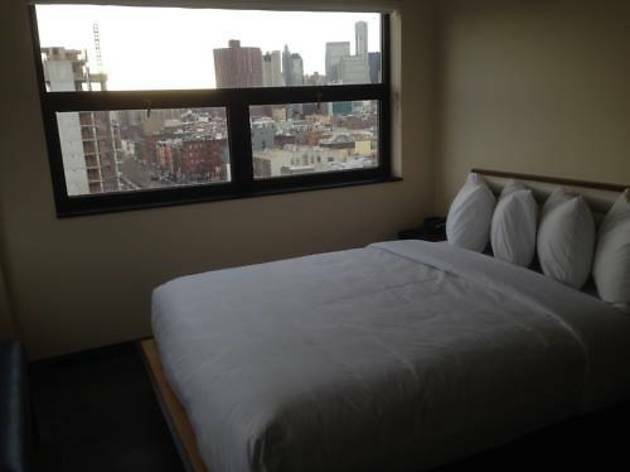 The budget conscious funky hotel group Pod, has both a downtown and uptown location. 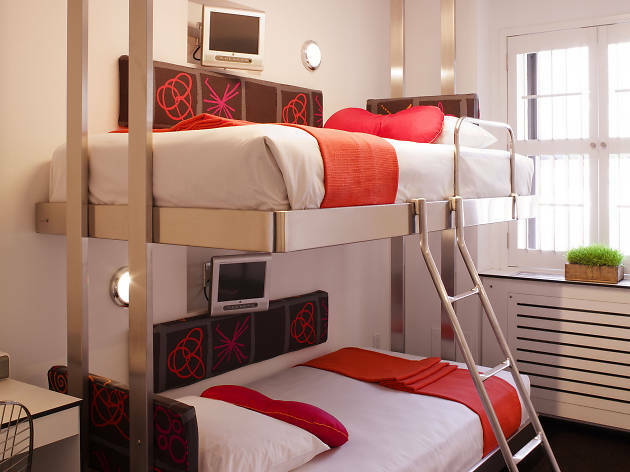 The uptown joint offers visitors a choice of six “pod” types that sleep one to four guests and all rooms feature trendy and colorful décor. 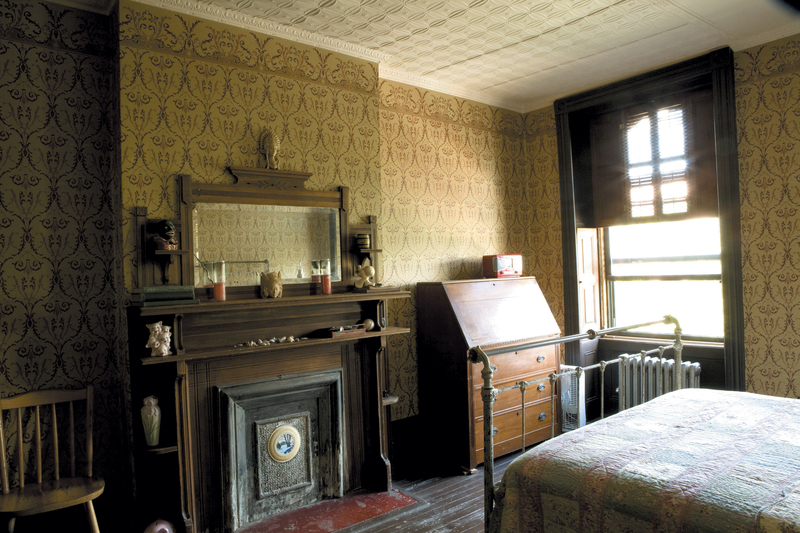 Though cozy, the rooms are surprisingly well-appointed. 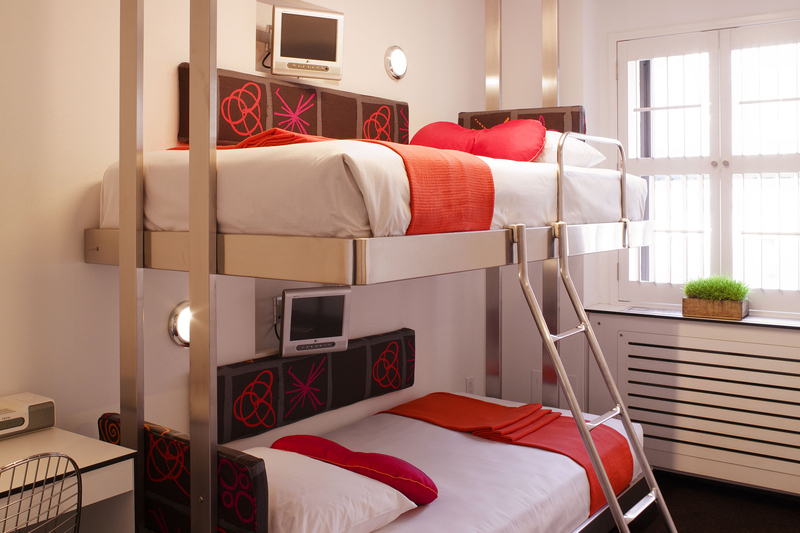 Featuring flat screen TVs, desks and complimentary Wi-Fi, Pod 51 is a great pick for those that want to spend ample time exploring the city, but still want a comfortable place to rest their feet after a long day of hitting the pavement. 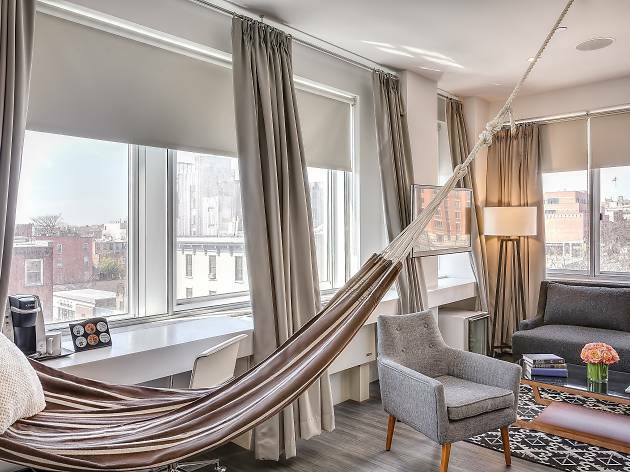 Achieve serenity without breaking the bank at this wellness-minded hotel located within walking distance of the Brooklyn Bridge. 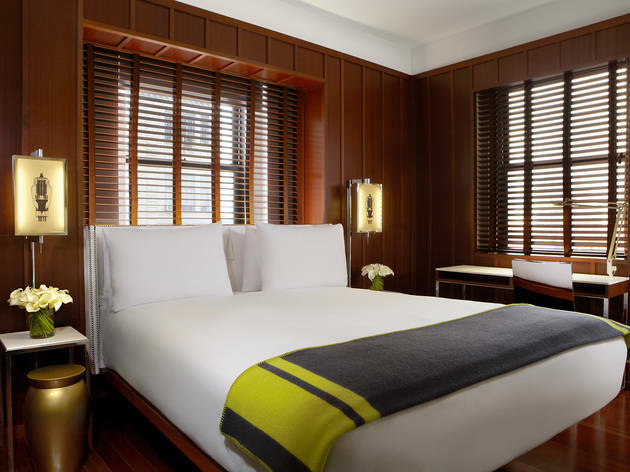 In addition to the expansive in-house fitness studio, each room is complete with its own training zone, fitness kit, revitalizing spa shower and natural eucalyptus linens. 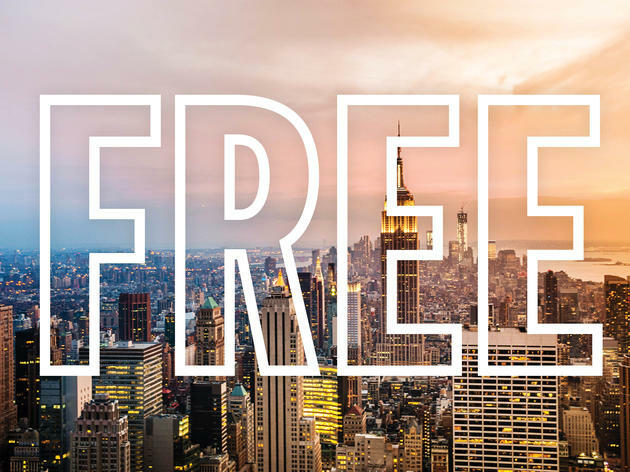 Situated within the epicenter of glitz and grime, Row NYC is ideal for those who want to stay within arm’s reach of Times Square. 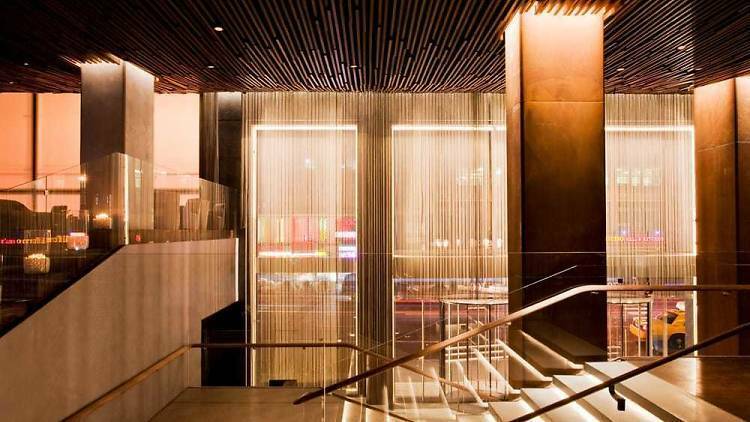 The contemporary hotel’s price point is a bargain and boasts a stylish New York City vibe. It’s also home to City Kitchen, an indoor food market where guests can peruse staples such as Luke’s Lobster rolls and Dough donuts. This affordable abode takes inspiration from its diverse surrounding neighborhood, covering its walls with custom murals by local Bushwick artists. 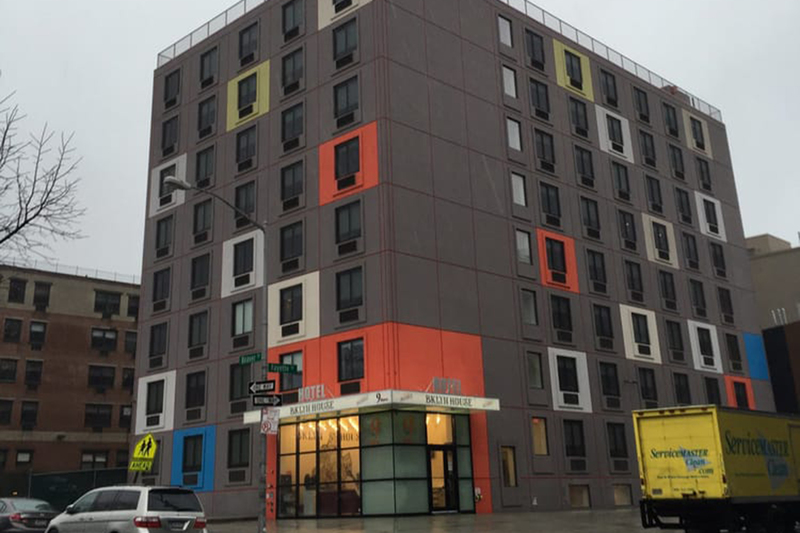 Hotel rooms err on the side of minimalism, but who needs over-the-top amenities when you’re staying just steps away from some of the quirkiest performance art and edgiest nightlife Brooklyn has to offer? 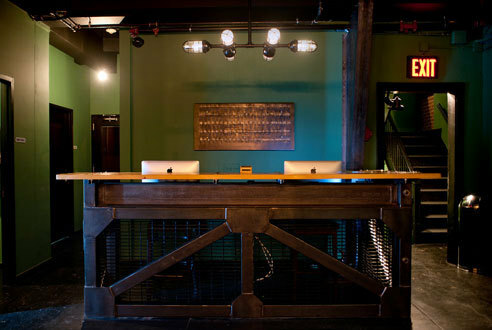 At this Brooklyn hotel, hospitality and sustainability converge. 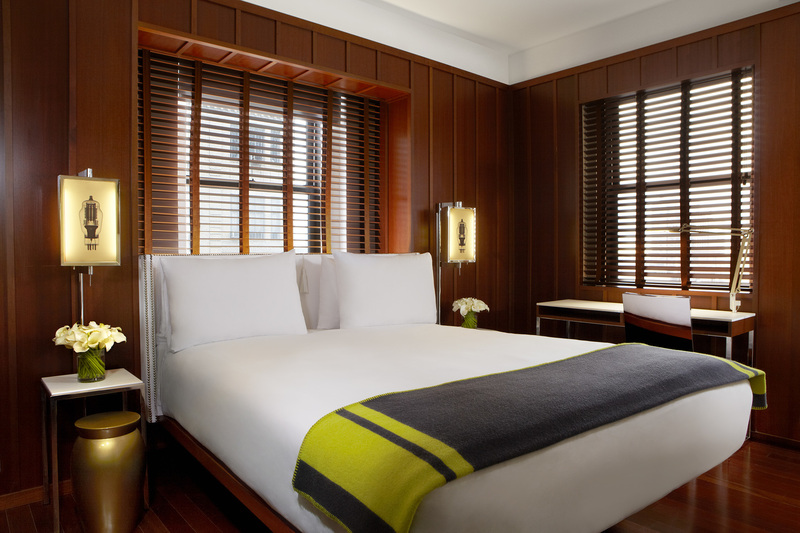 Wake up to environmentally friendly touches like organic linens, recycled teak furniture and all-natural bath products. 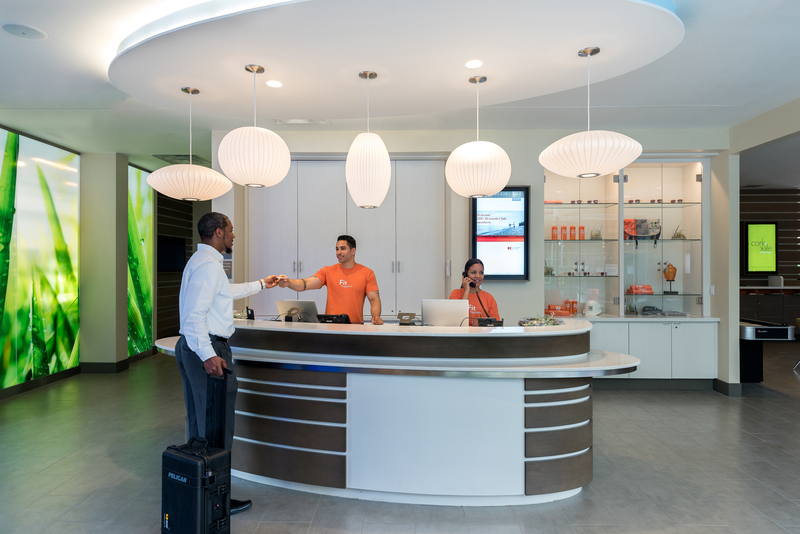 The eco-consciousness extends into the mini-bar, which comes stocked with locally handcrafted wines, spirits and snacks. 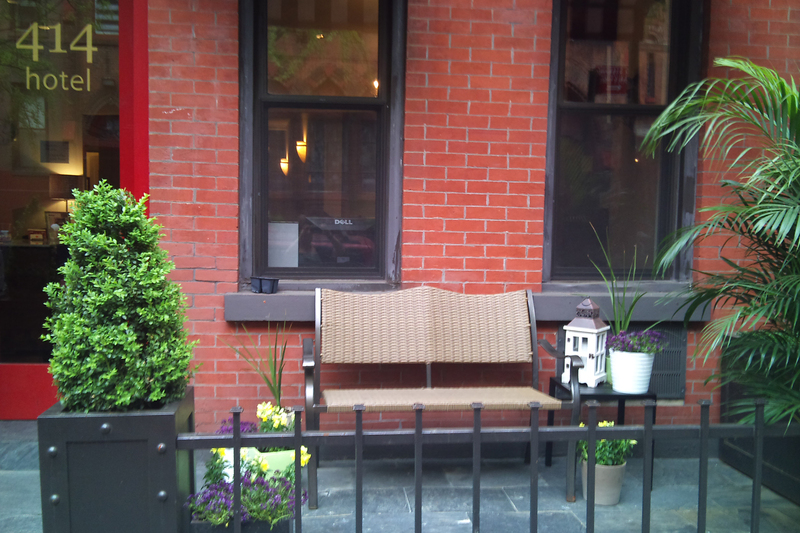 At 414, guests can enjoy bed and breakfast–style ambiance at an affordable price. 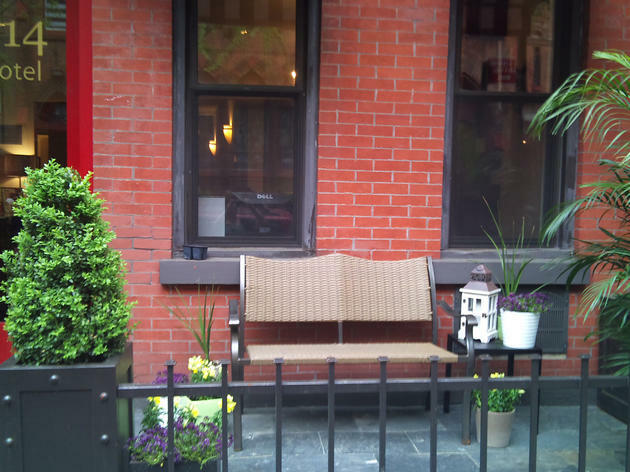 Its charming 22 rooms are spread out across two historical townhouses connected by a lush inner garden courtyard—the ideal place to recharge with 414’s daily complimentary breakfast. 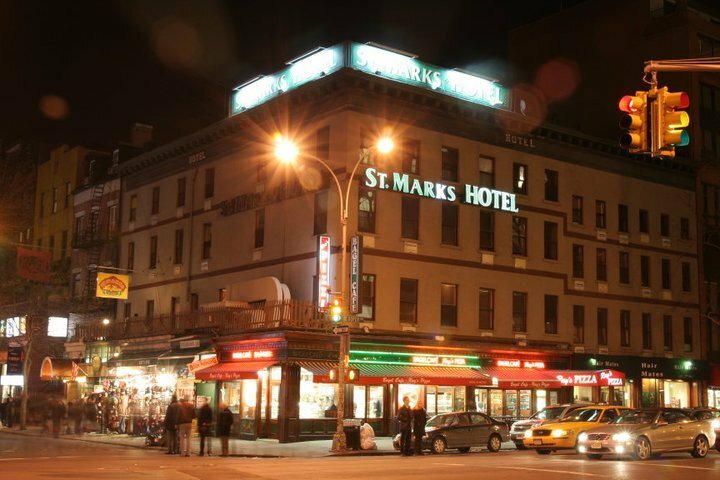 Claiming the title of “oldest hotel in New York,” this Broome Street spot once welcomed the likes of William Waldorf Astor and John L. Sullivan. A contemporary makeover has left some rooms with skylights, a yellow-and-blue color scheme, flat-screen TVs, exposed brick walls and hardwood floors, but it still retains some of that old-school charm. 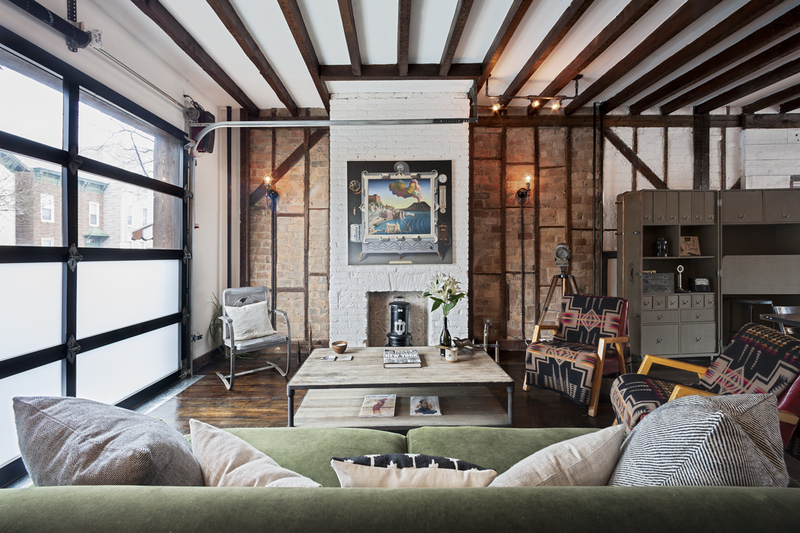 Escape the hustle of Manhattan at Lyon Porter and Jersey Banks’ Williamsburg retreat. Curl up next to the wood-burning stove set in the rustic-chic interior of the townhouse—or relax in the nearby treehouse which boasts an open-air living room, private roof deck and ensuite copper tub. 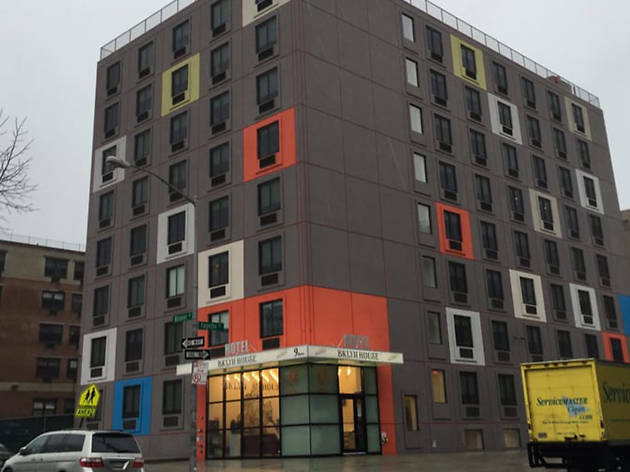 What this 64-room location lacks in amenities it makes up for with a prime East Village location and a price tag that’s easy on the eyes. 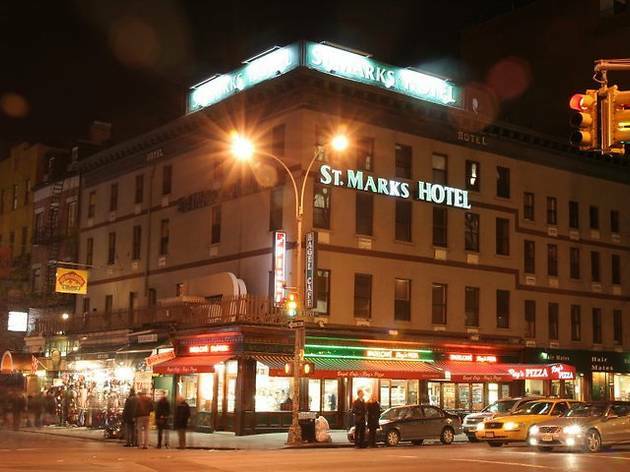 Smack dab in the action, this well-positioned corner hotel is only a few steps from a subway station, in case you’re looking to make a break from the bustle. 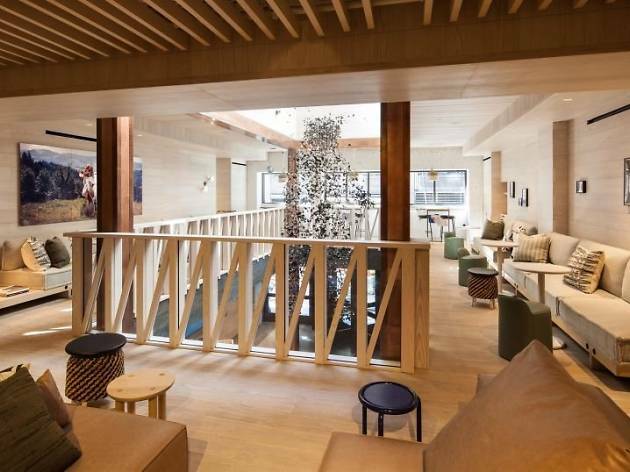 Note: This is definitely not a snazzy hotel with over-the-top perks, but the super-homey haven is located in the heart of the historic Chelsea, so at least the location is ace. 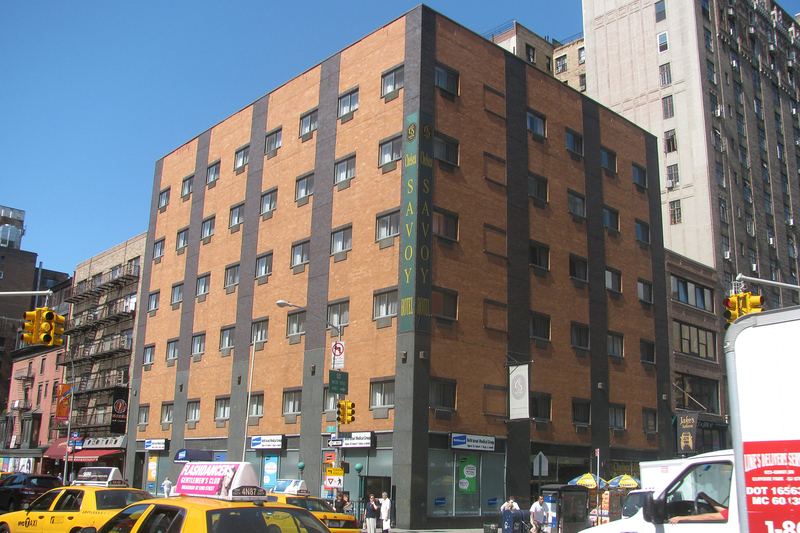 The no-frills, 89-roomer is built for shallow pockets and is also close to the subways and walking distance from Madison Square Park. 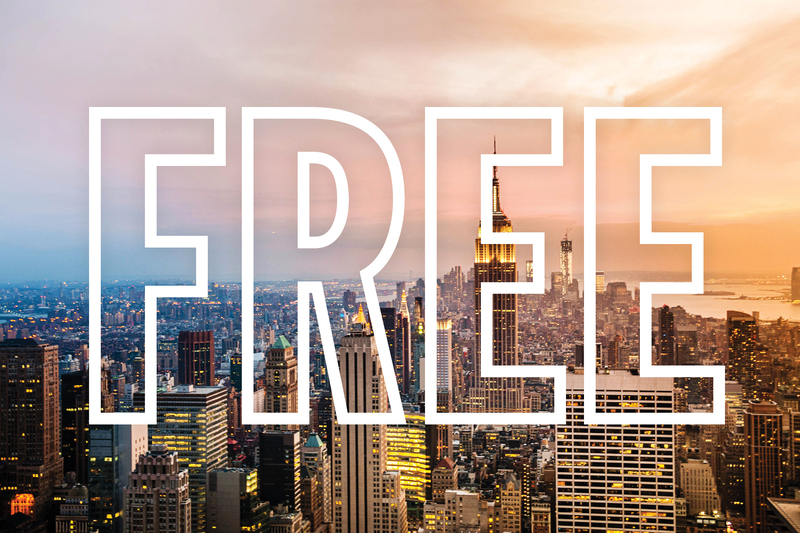 Check out the best free things to do!